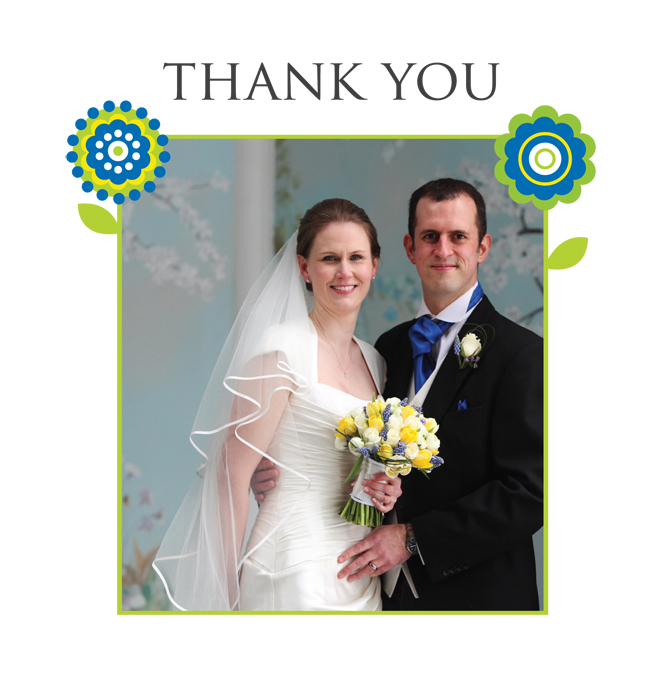 Now that the main wedding season is very nearly over, its time for most people to say a very big thank you. Thank you cards are the perfect way to say thank you to friends and family for making the day so special. Here at Paperchain Wedding Stationery, we are now producing thank you cards with photographs of the big day  at no extra cost. The newly weds simply provide us with a photo from their big day and we incorporate it into their wedding stationery theme. For us its always lovely to see a photograph of the bride and groom enjoying their wedding day, and put faces to the names. 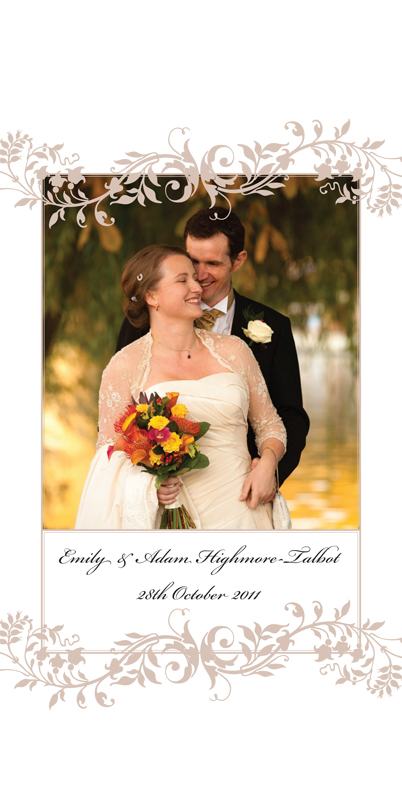 We have produced lots of lovely photographic thank you cards this season, here are a few of our favourites. We are very flexible and can include a photograph and any wording. They can be produced in any of our collections, in both DL and square format. We can also include a message inside of the card.